KG Industries provides a printing service for customers with special barcode needs. Specializing in short run quantity and variable data printing is ideal for the small business needs. We print barcodes on tags and adhesive labels in any size for any application. 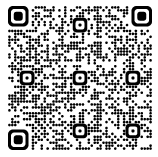 Below please find samples of a UPC-A, Code 128, ISBN-978-EAN-13, and JAN-8 barcodes at 100% size. Related link to obtaining membership for your own UPC number. Need blank hang tags or care labels click on banner.